It’s Usama Arshad. I started developing an interest in WordPress when I was 17 when I saw a guy customizing a website. It looked no-brainer as he customized the whole website in matter of couple of minutes. I got surprised and started taking interest in it. At this point, I majorly design WordPress templates and try to convert them if they are not very complex for me. I’m still learning the ropes of front end development. It was my very first time. It was great in short. Being honest, I was very picky to answer a support ticket as I didn’t want to misguide anyone. So in my limited knowledge, I only answered three support tickets. I will be doing it more often now. 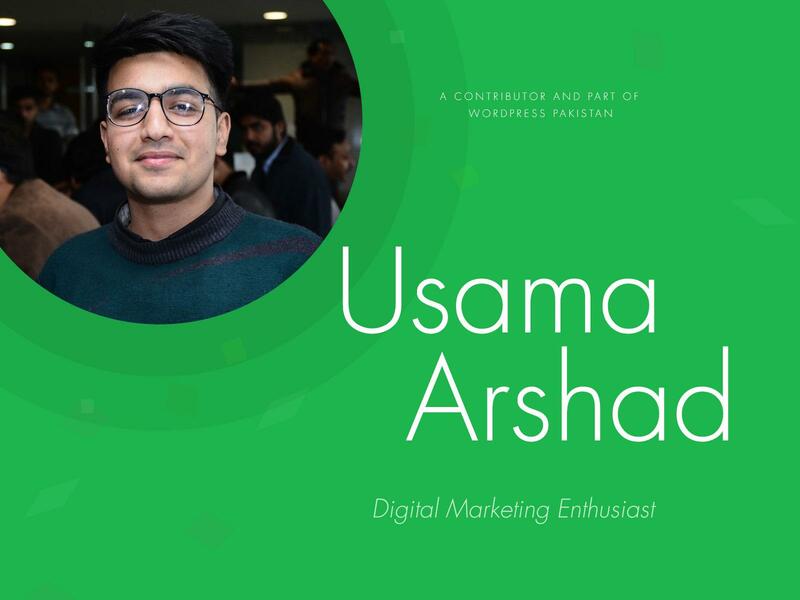 When I started out, my go to support channel was WordPress Support Forum, and as Mr. Ahmad Awais initialized this exciting event, I thought to join hands and give back. When I was answering a support ticket, there was this lady who was worried about having her university blog in WordPress. It came as a flashback of having similar questions in my head back then. My convincing answer might have taken a chip over her folder, and it felt great to help. I will be doing it, hopefully, every other day in my free time.